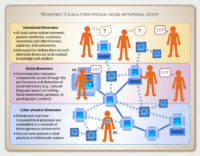 Home Posts tagged "digital-physical ecosystems"
ABSTRACT: Strategic management instruments (SMIs) are tools used to analyze an organization’s strategic situation, formulate effective strategies, and successfully implement them. Despite SMIs’ importance, there has been little systematic research into them – and especially regarding the impact of emerging technologies on SMIs. 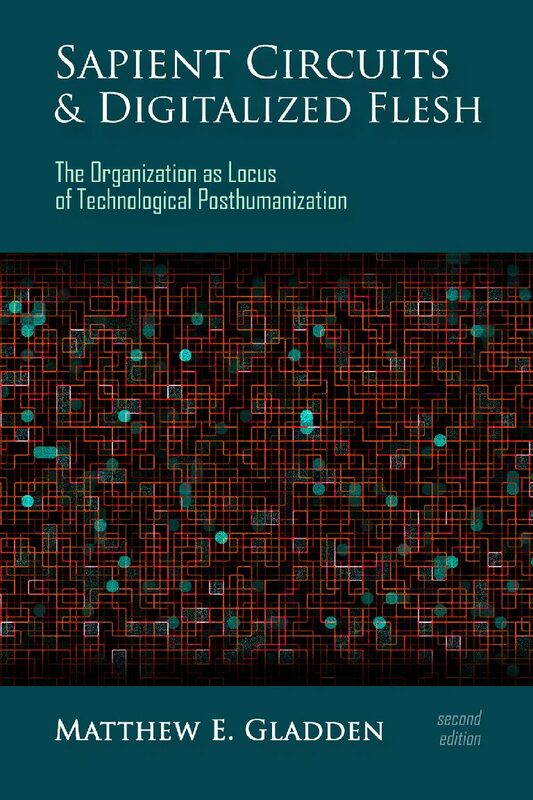 Here we investigate whether the forces of technological posthumanization that are creating a new class of ‘cyber-physical organizations’ can be expected to affect innovation in the use of SMIs within such organizations. 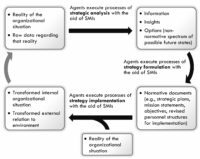 Through a review of strategic management literature, we identify nearly 100 SMIs and categorize them according to their use in (a) strategic analysis, (b) strategy formulation, or (c) strategy implementation. 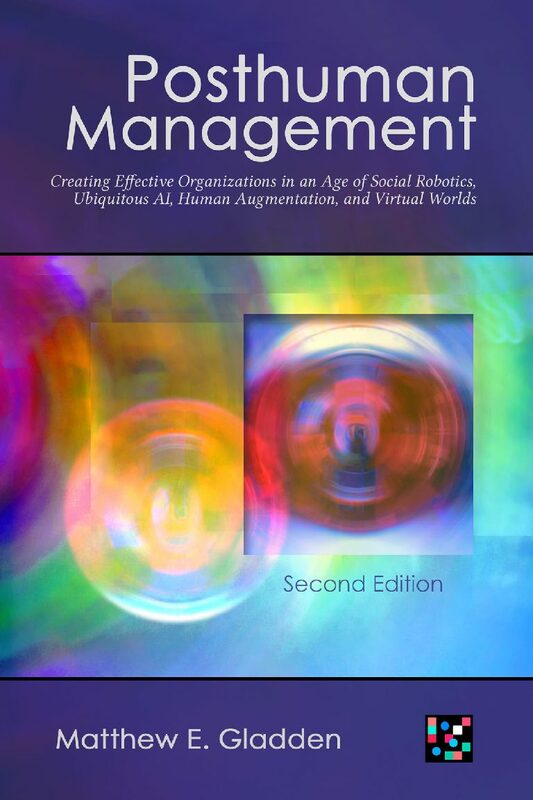 Meanwhile, an analysis of cyber-physical systems and technological posthumanization reveals three dynamics that are converging to create an emerging class of cyber-physical organizations: (a) roboticization of the workforce; (b) deepening human-computer integration; and (c) the ubiquitization of computation. 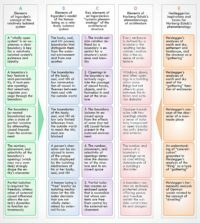 A framework is developed for mapping the impacts of these dynamics onto the inputs, agents, processes, and outputs involved with the three types of SMIs. 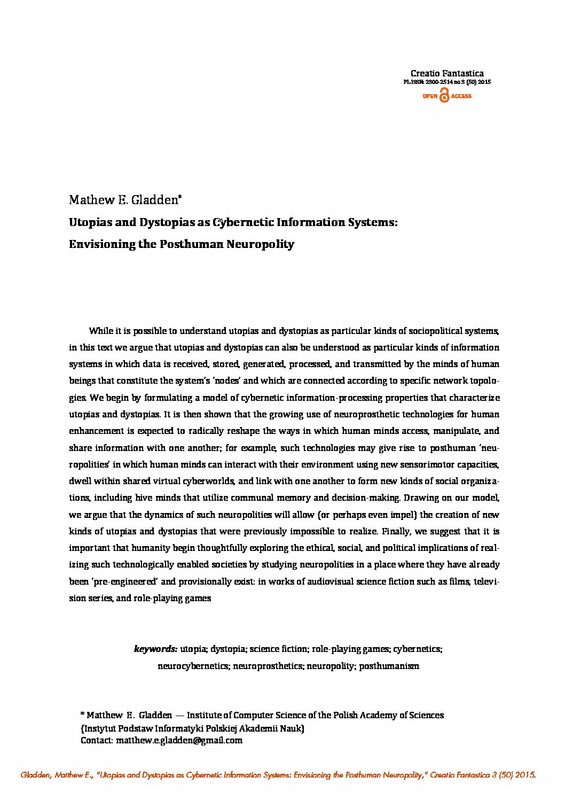 Application of the framework shows that technological posthumanization should be expected to both facilitate and require innovation in cyber-physical organizations’ use of all three types of SMIs. ABSTRACT: Efforts to formally define ‘magic’ and to identify the aspects that distinguish magical practice from other human pursuits have been made from both a theological perspective (e.g., St. Thomas Aquinas) and, more recently, an anthropological perspective (e.g., Frazer, Mauss, Durkheim, Malinowski, and Tambiah). Frequently cited elements of magic include its use of esoteric symbols, gestures, and speech that are only understood only by a small, elite group of initiated practitioners; its use of specially prepared ritual instruments; its attempt to harness the power of invisible, intelligent, nonhuman entities (such as demons or nature deities) to produce specific physical effects; and its attempt to manipulate hidden (or ‘occult’) forms of causality rather than obviously explicable physical causality. As early as the 1970s, scholars noted that the practice of computer programming reflects several such aspects of magic as it is traditionally defined. For example, conventional computer programming requires mastery of an esoteric body of knowledge passed down between generations of programmers; it employs arcane symbols arranged in elaborate sequential scripts structurally similar to magical incantations; and it allows computers to perform highly complex, seemingly ‘intelligent’ behaviors by means of causal processes that may be comprehensible to programmers but which to ordinary computer users appear quite mystifying. In this presentation, we argue that it can be expected that the ‘magical’ aspects of computing technology will be transformed and enhanced over the coming years through the development of increasingly sophisticated technologies for virtual reality (VR), artificial intelligence (AI), and ubiquitous computing (UC) that converge to create ‘magically responsive’ digital-physical ecosystems and ‘enchanted’ cyber-physical societies. ABSTRACT: For many employees, ‘work’ is no longer something performed while sitting at a computer in an office. Employees in a growing number of industries are expected to carry mobile devices and be available for work-related interactions even when beyond the workplace and outside of normal business hours. In this article it is argued that a future step will increasingly be to move work-related information and communication technology (ICT) inside the human body through the use of neuroprosthetics, to create employees who are always ‘online’ and connected to their workplace’s digital ecosystems. At present, neural implants are used primarily to restore abilities lost through injury or illness, however their use for augmentative purposes is expected to grow, resulting in populations of human beings who possess technologically altered capacities for perception, memory, imagination, and the manipulation of physical environments and virtual cyberspace. Such workers may exchange thoughts and share knowledge within posthuman cybernetic networks that are inaccessible to unaugmented human beings. Scholars note that despite their potential benefits, such neuroprosthetic devices may create numerous problems for their users, including a sense of alienation, the threat of computer viruses and hacking, financial burdens, and legal questions surrounding ownership of intellectual property produced while using such implants. Moreover, different populations of human beings may eventually come to occupy irreconcilable digital ecosystems as some persons embrace neuroprosthetic technology, others feel coerced into augmenting their brains to compete within the economy, others might reject such technology, and still others will simply be unable to afford it. In this text we propose a model for analyzing how particular neuroprosthetic devices will either facilitate human beings’ participation in new forms of socioeconomic interaction and digital workplace ecosystems – or undermine their mental and physical health, privacy, autonomy, and authenticity. We then show how such a model can be used to create device ontologies and typologies that help us classify and understand different kinds of advanced neuroprosthetic devices according to the impact that they will have on individual human beings. ABSTRACT: While it is possible to understand utopias and dystopias as particular kinds of sociopolitical systems, in this text we argue that utopias and dystopias can also be understood as particular kinds of information systems in which data is received, stored, generated, processed, and transmitted by the minds of human beings that constitute the system’s ‘nodes’ and which are connected according to specific network topologies. We begin by formulating a model of cybernetic information-processing properties that characterize utopias and dystopias. It is then shown that the growing use of neuroprosthetic technologies for human enhancement is expected to radically reshape the ways in which human minds access, manipulate, and share information with one another; for example, such technologies may give rise to posthuman ‘neuropolities’ in which human minds can interact with their environment using new sensorimotor capacities, dwell within shared virtual cyberworlds, and link with one another to form new kinds of social organizations , including hive minds that utilize communal memory and decision-making. Drawing on our model, we argue that the dynamics of such neuropolities will allow (or perhaps even impel) the creation of new kinds of utopias and dystopias that were previously impossible to realize. Finally, we suggest that it is important that humanity begin thoughtfully exploring the ethical, social, and political implications of realizing such technologically enabled societies by studying neuropolities in a place where they have already been ‘pre-engineered’ and provisionally exist: in works of audiovisual science fiction such as films, television series, and role-playing games.